Historic Downtown Vero Beach vibrates with eclectic shops, restaurants, and shops, many of them on the National Register of Historic Places. Famous for its numerous cultural attractions, Vero Beach is just 135 miles north of Miami on Florida's east coast. With a thriving arts community, countless restaurants and shops, and any kind of water sport that you can imagine close at hand, it is a wonderful place to spend a weekend. Here are the best things to do in Vero Beach, Florida. 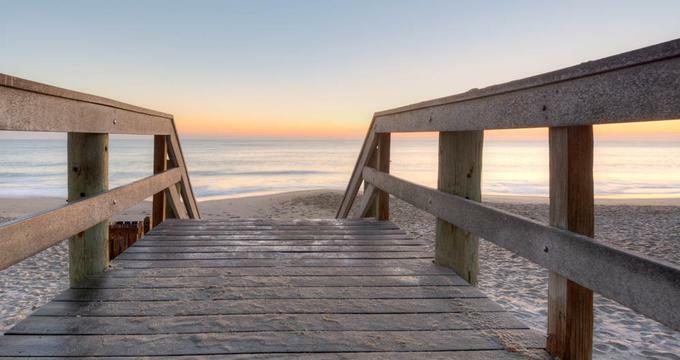 Vero Beach is where you can relax and enjoy plenty of beach access in several full-service parks. Wabasso Beach Park has wide, quiet beaches and is perfect for swimming. Golden Sands Beach Park is traditional, with lifeguards and a picnic area. It has dressing facilities, restrooms, and showers. It's a good place to snorkel or to Scuba dive. Jaycee Park, with more than eight acres of oceanfront, is perfect for family gatherings and has a playground, a boardwalk, and a large picnic area as well as a restaurant. 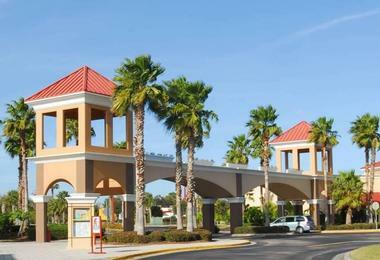 Lastly, Humiston Beach Park is located in the middle of Vero Beach's shopping district. All year long, this four-acre park has arts and crafts shows in the park and numerous festivals. Humiston Beach Park and Jaycee Park are the only two of the Vero Beaches that provide beach wheelchairs. At the southern gateway to Vero Beach, Florida, McKee Botanical Garden unfolds with native plants and tropical botanicals. Visitors are able to follow pathways into a grove of regal palms or pass tranquil streams with a profusion of waterlilies. You can also explore 18 acres of the landscape that has been restored to what it once was. Discover unique trees and waterfalls and learn their stories. McKee Botanical Garden is a valuable source of cultural enrichment; it hosts many programs, including world-class art exhibitions, educational programs, and a variety of special events. The Garden is on the National Register of Historic Places and is a private, not-for-profit organization. The Environmental Learning Center is a 64-Acre preserve that has 1 ½ miles of elevated wooden boardwalks. It is an ideal destination for the entire family. The list of activities here are vast: Experience a peaceful lagoon with beautiful vistas or take a canoe or pontoon boat ride. Come here to see the habitat of the brown pelican at any time of the year. White pelicans can be seen here from fall to early spring. The refuge is open daily until sundown, and during your visit, remember to carry mosquito repellant, sunscreen, and water with you. More than 40 varieties of birds use the refuge, and 16 of them nest here. There are more than 200 varieties of fish, from sturgeon to pipefish and from mackerel to bluefish. Atlantic bottlenose dolphins and West Indian manatees regularly visit the refuge. Many mammals are known to live here, including bobcats, river otters, and marsh rabbits. The waters of the refuge protect threatened and endangered sea turtles and threatened and endangered species such as the West Indian Manatee. Pelican Island is a National Historic Landmark, National Wilderness Area, and Wetland of International Importance. 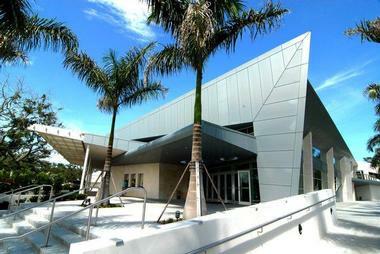 The Vero Beach Museum of Art is a 55,412 sq. ft. arts facility with five art galleries, a sculpture garden, and an education wing with seven studio classrooms, and it has an art library and seminar rooms. Through the generosity of many patrons, the museum has amassed a sizeable collection in sculpture, many of them large and full-sized, art glass, paintings, and other genres. It has an outdoor foundry and studio, a state-of-the-art auditorium, a museum store, and expansive public spaces for art installations and public programs. The emphasis is on American art and Florida artists. There are over 150 accredited classes offered to 1,500 students annually, collaborating with Indian River Community College, making this the largest school within a museum in the State of Florida. If you like real-life stories of sunken treasure and history, this experience is not to be missed. You can see artifacts, tools, and memorabilia of the period here and learn the fascinating stories that accompanies them. In 1715, a storm sank the entire Spanish fleet, along with a year's treasures amassed from Mexico and South America, as it travelled along the coast of Florida towards Spain with vast quantities of silver, and gold. After four years, only about half of the manifests had been recovered. The rest lay buried. In 1928, a wreck from the 1715 fleet was rediscovered. In the 1950's, a hurricane changed the shoreline, and an additional archaeological spot was discovered, located where the McLarty Treasure Museum now stands. Your children will delight in this adventure. The Archie Carr National Wildlife Refuge has long stretches of quiet, undisturbed sandy beaches that are essential to the reproductive success and survival of turtles, making for wonderful day trips of beach exploration and opportunities to learn about this barrier island ecosystem, which has 248 acres and is 20 miles long. Surf fishing is allowed in many of the beaches in the refuge. During the day, the public is welcome to enjoy the trails and to experience Sea Turtle Watch programs in season. The refuge offers long-term protection for the nesting habitats of loggerhead sea turtles, green turtles, and the leatherback turtle. Protecting these spawning areas and overseeing their public use, are the two main objectives of the refuge. To experience natural Florida, try the Oslo Riverfront Conservation Area (ORCA.) Here you can find great birding along the mangrove-edged waters of the Indian River Lagoon, where ferns and wild coffee grow to massive size. Bromeliads dangle from the forest canopy, and trails seem to disappear into the thick undergrowth. In some seasons, ORCA offers weekly guided nature walks; the first Saturday of the month is a Coastal Wetland Walk (moderately difficult) and on other Saturdays Hammock Walks (moderately easy) are offered. Guided canoe excursions are also available. This is a community theatre with local actors, who, by all accounts, give stellar performances. The Vero Beach Theatre Guild puts on five main-stage productions every year, as well as a summer production. The theatre is small, meaning all seats have good visibility. Some shows are comedy, while others are dramas or musicals. In 1985, 16,000 volunteer hours turned a former church into a theatre, and in 2008, the Guild celebrated its 50th anniversary. Today, they continue to offer excellent theatre at very affordable prices. The Vero Beach Theatre Guild is a non-profit volunteer organization with more than 250 volunteers annually. Vero Beach Theatre Guild has a long-standing faithful audience and invites you to join in the experience of excellent local theatre. The Hallstrom Farmstead, open to the public, is an excellent example of a family-based pineapple farm settled in the late 1800's by Scandinavian immigrants. Many of these early farms later became citrus groves. Miss Ruth Hallstrom gave her childhood home and outbuildings to the Indian River County Historical Society, which preserves the house, its collections, and its 5 acres of grounds. 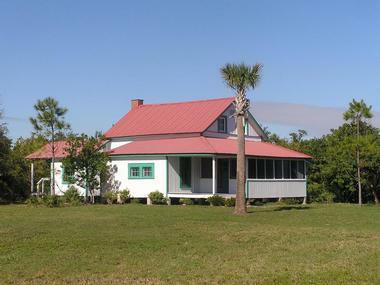 Hallstrom Farmstead was part of her father's original pineapple plantation created in 1909, and today it is used to document a bygone era in southern Indian River County, Florida. The collection has photographs, furniture, and memorabilia, and historical and educational tours are provided. The adjacent 93-acre conservation area surrounding the tract is being restored as a nature preserve and green space by Indian River County, which has plans for its development. Every year, Vero Beach, Florida, hosts the Vero Beach Wine + Film Festival (VBWFF) - a happy marriage between independent and student, international and American films and fine wines from all over the country. It makes a fun social and cultural event that this year runs from 8th to 11th June, 2017. With the theme "a life worth living," the festival showcases unique films, both independent and mainstream Hollywood, while top boutique vintners offer their best wines from all over the country. Besides the main events, there are discussions, interviews, debates, parties, lunches, dinners, dancing, and great fun for all. The festival will be opened with a big sunset bash, a bazaar of wines and spirits called Cinema Uncorked, and will end with the Fete Finale and a live concert by "The Ladies of SOUL." Paleo Discoveries helps you find the remains of ancient sharks, saber-tooth cats, mammoths, mastodons, tapirs, horses, sloths, and even giant armadillos. You can have your child's next party at a local fossil dig, an event he or she will never forget. After meeting at local sites, staff members will help your partiers find all kinds of genuine Florida fossils that are millions of years old. Discover your own piece of history – one you can actually hold in your hand. These trips are fun, safe, and instructive. Walk-in or canoe fossil tours are available. Many products featured on the online store are available for purchase during tours. Watch hand-dipped chocolate and fudge being made as movies such as the Honeymooners and the Little Rascals play in the background. This family-owned business offers over 200 types of hand dipped and sugar free chocolates with twelve flavors of butter fudge. A special treat for the family is the old-fashioned chocolate factory and ice cream parlor. Sample one of the 16 varieties of homemade ice cream or an Italian ice. Purchase collector items like Betty Boop memorabilia, the Three Stooges collector plates, statues of Bill Clinton and Louie Armstrong, or I Love Lucy collector dolls, as well as a selection of old antique phones. A 1938 Packard sits in the ample parking lot. Christmas is a special time; year-round, the Christmas Room has a full-sized, horse drawn sleigh. Riverside Theatre produces five annual shows on the Stark stage, which seats 697, and two annual shows on the Waxlax Stage, for new or Off-Broadway shows, seating up to 250. Riverside Theatre has a full 8-show roster of children's theatre as well. Riverside Theatre's Comedy Zone showcases Live Stand-Up Comedy on select Friday and Saturday nights all-year-round, with two comedians each time for the price of one. Enjoy a FREE Live Concert before the comedy show and delicious food from the bar & grill. Almost every weekend, Riverside Theatre's driveway features some of the area's most talented musicians. Riverside Theatre is also known for its Distinguished Lecturer Series. They welcome four speakers per year, addressing relevant topics on national and global affairs. For example, the 2016-2017 Series features Salman Rushdie and Bob Woodward. Experience a guided tour of the Piper manufacturing facility at Vero Beach and learn how William T. Piper's dream of flying evolved over 75 years. In 1937, when William Piper introduced the Piper Cub, he wanted everyone to be able to fly, and he hoped that, by way of his airplanes, he might provide that freedom. 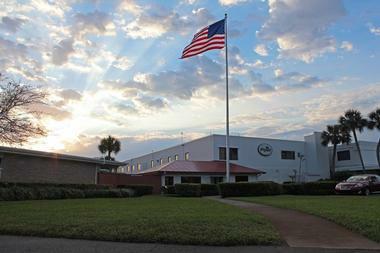 Today, Piper's desire is still very much alive in this facility where more than 130,000 aircraft have been produced. Piper Aircraft offers an expanding array of airplanes, creating the freedom of flight for everyone, just as its founder envisioned. Since 1957, Piper Aircraft has been a part of Vero Beach and is active in numerous community programs and scholarships. Tours at the factory must be arranged in advance. With wind in your hair, witness nature surround you while gliding over a river of grass. Capt. Lawrence's life-long airboat experience on the St. Johns River makes for an exceptional airboat ride, fully narrated with talk-around headsets, in order to contact the Captain and share with fellow passengers. 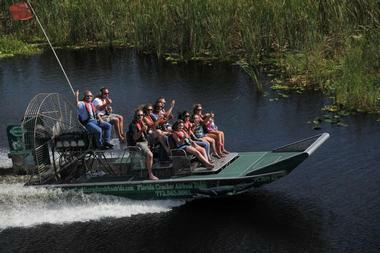 Climb a real airplane engine-powered airboat built by Capt. Lawrence himself. Keeping the boat capacity at or below 11 passengers allows for excellent viewing, exhilarating speed, and access to lesser-traveled areas. There's nothing like it. There are two tour boats that Lawrence custom built. One seats up to eleven passengers and the other up to nine. Trip Advisor rates this a 5 star attraction. 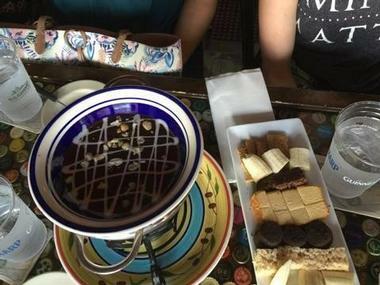 Join Treasure Coast Culinary Tours for an exciting 2 ½ - 3-hour culinary walking tour. Enjoy delicious foods, including wood fired pizza, Cajun and/or creole food, craft beer, Mexican food, and chocolate fondue. These are leisurely tours, so while you savor different dishes and plenty of beverages, you can also enjoy hearing about local maritime history and learning tips about Vero Beach and fun facts of the area. It's like a meal with several courses divided among five culinary stops. Vero Beach Bites, the earlier of the two tours, meets in the late morning, and the Downtown Vero Beach tour meets in the late afternoon; both include five food stops with a walking distance of less than a mile at each of the two locations. Vero Beach Outlets features more than 60 designer and brand name outlets where shoppers enjoy savings of up to 65 percent off retail prices, every single day. The outlets are open daily, meaning you can find the most convenient time for you to shop your favorites; You'll find Williams-Sonoma Outlet along with Restoration Hardware Outlet. Coach, Dooney and Burke offer wonderful choices in handbags. Bass, Crocs, Clarks and Easy Spirit, Nike and Reebok provide foot ware. The Children's Place, Carters, and Gap, among many others, provide great selections in children's clothing. Ann Taylor, Brooks Brothers, and Tommy Hilfiger are a few of the many selections in adult apparel. Check to see regular sales, many of them up to 50% off the already discounted outlet prices. They are listed online, and you can also join the VIP Savings Club for even greater savings. Laura (Riding) Jackson Foundation's mission is to maintain and preserve the home and work of this Florida poet who was both mentor to young poets and an advocate for all things literary. Many diverse programs produced throughout the year earmark poetry, literature, and history. Cracker Tales is the oral history of local ranchers, pioneers, and citrus growers from the Indian River County. There are free Teen Writers Workshops offered to youth in the community, including lessons in College Essay Writing, a monthly Poetry Open Mic Night, adult writing workshops, partnerships with local artistic organizations and the very popular Spring event of Poetry and BBQ, which is held at the Laura Riding Jackson home in honor of National Poetry Month. It features many poets such as Carol Frost, Sean Sexton, and Rick Campbell. 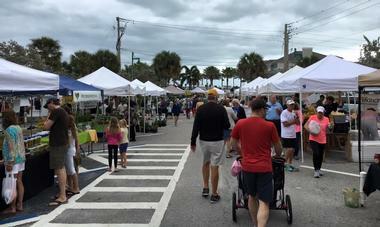 The Farmers Market Oceanside at Vero Beach is open on Saturdays. Come see cooking demonstrations by local chefs and sample homemade foods, and you can also buy fresh vegetables and flowers, locally grown spices, refreshing drinks, and local honey. Even homemade dog biscuits are available. Enjoy delicious breads, seafood, pastries, homemade jams, and botanicals while listening to local musicians who add to the friendly, laid-back atmosphere. Pets are always welcome; it's a dog-friendly place. Local restaurants and shopping make the Farmer's Market Oceanside a delightful oasis for locals and tourists alike. Sandridge Golf Club is a destination for both serious and casual golfers, and Golf Digest gave it four-and-a-half stars. It therefore earned a spot on the magazine's "Places to Play List." It has two 18-hole championship courses designed by Ron Garl and is considered one of the best public golf courses in the entire state of Florida. The first golf course, the Dunes Course, opened to the public in 1987, and the second, the Lakes Course, opened in 1992. 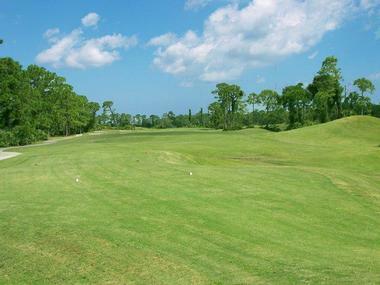 This course's layout has one of the toughest holes in all of South Florida, and many come just to experience it. It's no surprise that Sandridge Golf Club provides some of South Florida's finest golf.